Why didn’t Jesus destroy demons when he cast them out? Q. In any of the situations where Jesus cast out demons, why didn’t he kill them so they would not enter another person? Matthew’s gospel relates how, when Jesus was casting out demons in the region of the Gadarenes, they cried out, “Son of God, what do you want with us? 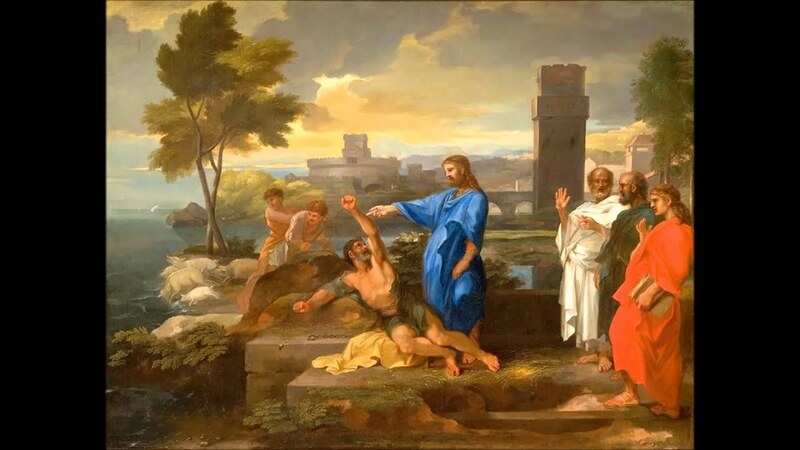 Have you come here to punish us before the time for us to be judged?” The encounters between Jesus and demons described in the gospels are typically brief and cryptic, but we can at least tell from this one that God has set a time for demons to be judged and punished. But as these demons knew, that time had not yet come during the ministry of Jesus, and they successfully appealed to be sent into a herd of pigs instead. The reasons why Jesus allowed such demons to continue to roam the earth, at least for a while, have to do, I believe, with the need for there to be freedom in order for people to make the choice to love God and others. God could have removed all sources of suffering and discord in the world, but this would have been at the cost of making true freedom impossible and depriving the world of the fruits of freedom, including love, courage, creativity, and so forth. Jesus actually told this parable about his own generation as a whole, to illustrate how, by rejecting his true message of the kingdom of God, they were leaving themselves open to the influence of false messiahs who would lead them astray into destruction. (This happened during the two Jewish-Roman wars in the decades that followed.) But for the parable to make this point by application, its story needs to make a valid point of its own, and that is that people who have been freed from a demon are responsible themselves to fill their lives with godly and wholesome influences that will discourage any demons from ever returning. In other words, while Jesus didn’t destroy the demons he cast out, he brought the truth of the kingdom of God, and ultimately he sent the Holy Spirit, to occupy the place the demons had left so that they would never try to fill it again. And I think this is how we need to think about all of the evil and destructive influences around us as we live in these “in-between times,” when the kingdom of God has already been inaugurated but not yet completely established. God has not yet removed all these influences from the earth. But he has sent other influences that can effectively displace them in our own lives, and increasingly in our world, if we recognize and accept our responsibility to welcome and cultivate these life-giving endowments. A painting by Vangelo di Marco of Jesus casting out the demons from the Gerasene demoniac. Why didn’t Jesus destroy the demons instead of allowing them to remain at large afterwards? I struggle with the concept of the Holy Spirit living in us due to two things that I have recently come to be away of. One is in creation God breathed life into us wasn’t this the Holy Spirit?So since the Holy Spirit is the source of life and is living in us how does this imagery work. Like I know for Mary to be pregnant it was the Spirit of God then what then happens during His baptism? The second one is the language used to describe the Pentecost event it’s somehow similar to the temple imagery. But I believe that I have the Spirit in me but I have never experienced what happened with the early believers as described in Acts well maybe there are exceptions. But can you please help clarify as to the Spirit in our lives? Thank you for your questions. I hope to write a post shortly in answer to them. Next Next post: Does God plan every move of our lives if we ask Him to?